CARLINGFORD, A PRETTY lough-side town dominated by a 12th century castle, has been rated the best place to live in Ireland in 2011. 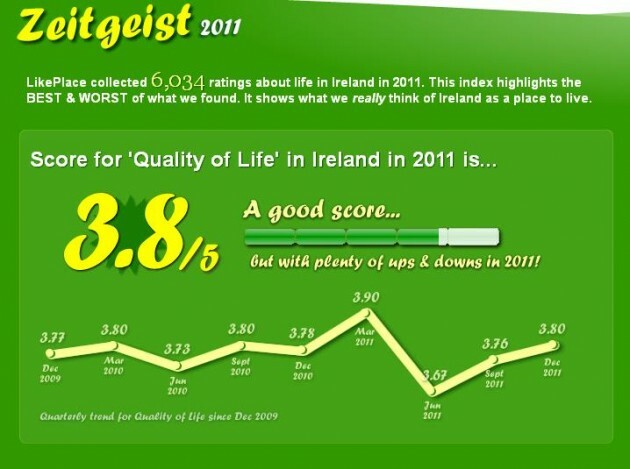 A website called LikePlace.ie had over 6,000 users rate places in Ireland and the Co Louth town came out on top with an average score of 4.5 out of five. A close second and third were ‘Skull’ in Co Cork (we presume they mean Schull) and Portmagee in Co Kerry. Portmagee is probably less well known than Schull as a tourist spot but it is noteworthy for an interesting tradition the village observes every New Year’s Eve. The ‘Old Year’ Festival sees locals accompany an old wizened character up the main street in a torchlit parade. At the stroke of midnight, the ‘Old Year’ character ‘dies’ and is replaced by a younger, more vigorous version. The tradition was apparently brought to the area by the French crew of a ship that landed in the area in 1727 and has been carried on ever since. A more comprehensive history of it can be read here on moorings.ie.